It is unlikely that people will draw close to that which conveys a sense of potential upset, that which appears disturbing. It is only natural then that the interdisciplinary, print-based work of Susan Goethel Campbell is governed by serene and formally pleasing aesthetics. Campbell’s landscape works are by turns vivid and misty; her installations of turf sculptures are both meticulous and organic; her documentary video work is exhaustively constructed and meditative to view. All are tempting bait that draws us close enough for the artist to bury her hook, and we find ourselves subject to a subtle dread. 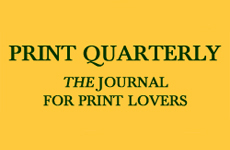 In her influential work Powers of Horror, philosopher Julia Kristeva discusses the experience of “abjection,” the feeling of disgust that arises when the “proper” border between self and one’s environment (not-self) is ruptured or degraded.1 In contemporary art, the “abject” typically takes the form of visceral or graphic content. By contrast, the dispassion and formal elegance of Campbell’s work cause an initial embrace and identification with its subjects, creating an experience so aesthetic and morally neutral that it places the unwitting viewer in a position to grapple with difficult existential notions about the breakdown of the natural environment. Consider Heatscapes, Campbell’s ongoing series of hand-stenciled, panel-mounted woodblock prints depicting “urban heat islands”—microclimates created by the thermal density of concrete and asphalt in densely populated areas. 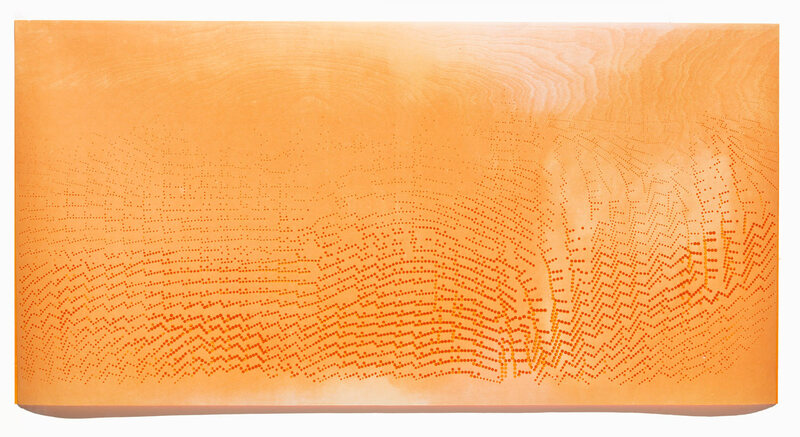 Utilizing many of the techniques of her nocturnal Aerials woodblocks [2011–present; see Art in Print Mar–Apr 2017],the Heatscapes employ swirling woodgrain and perforations through the paper. In the Aerials these articulate night skies and the electric lights of streets and highways (fantasy cityscapes that evolve from photographs she has taken from airplane windows and combined in a process she likens to drawing), but in Heatscapes they are used to a looser and more organic effect, and the works’ fiery palette draws the eye and incites alarm, like the radiant glow of a forest fire obscured by a ridge. Campbell encountered the concept of heat islands in the early 2000s, in studies of how urban weather patterns differ from those of immediately surrounding areas. She produced her first Heatscapes by transposing her black-and-white aerial views into a chromatic mimicry of infrared heat maps. She has a longstanding fascination with weather, the environment and air quality; as a matter of course, she follows organizations that publish data on particulate matter and ozone levels, such as the Michigan Department of Environmental Quality and the Environmental Protection Agency’s AirNow. Such information is often presented by color mapping, progressing from warm yellows to hot reds to indicate increasingly hazardous conditions. This high-alert palette informs the Heatscapes, where cities are as points of deep red on blazing ochre and orange backgrounds. Susan Goethel Campbell, Heat No. 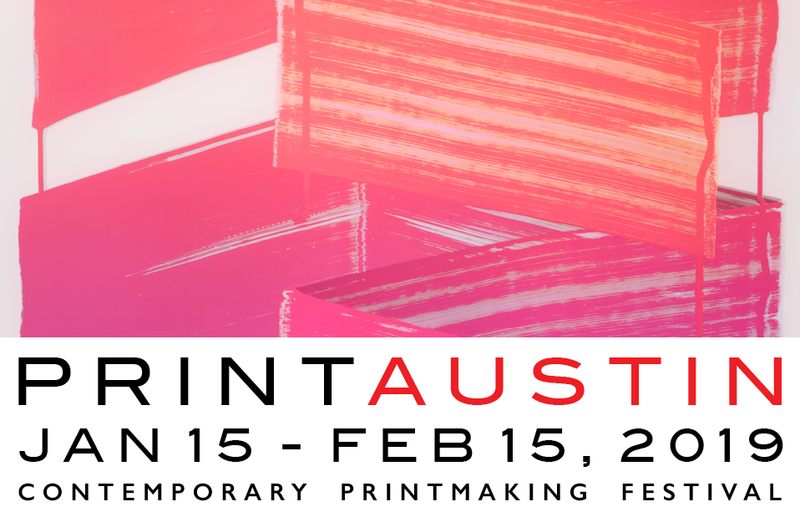 2 (2018), woodblock print with perforations, 24 x 48 inches. Unique work. Photo: Tim Thayer. The Heatscapes exist in three varieties: the earliest derive from a 2012 series of landscape works, Overland, in which she initially established the use of woodblocks and color fields, printing uncarved birch plywood onto Tosa Kozo paper in blue and green; then trimming and mounting the impressions to wooden panels in pairs—blue above and green below—to create horizon lines within architectural spaces. 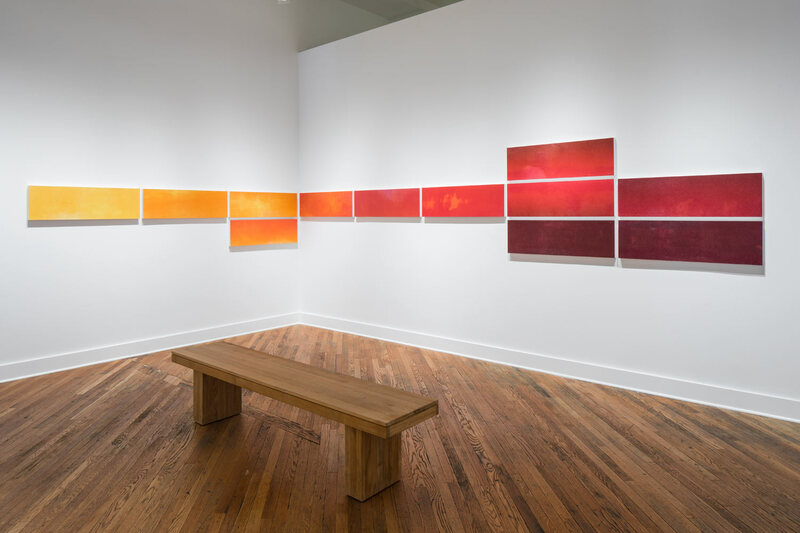 The first Heatscapes were serendipitous: in 2012, she was in rural Germany for a Beisinghoff Printmaking Residency, and her shipment of ink failed to arrive.2 Discovering some leftover cans of offset ink in translucent oranges and reds, she shifted gears. Inspired by a blazingly hot German summer and the nasturtiums growing outside the workshop, she began to play with the concept of urban heat islands. In addition to layering pure color fields to achieve tonal effects, she explored the natural irregularities of the plywood and began to recast her black-and-white aerial views in new hues. These Heatscapes, developed during the same 2012 residency, followed the same initial process as the pure color fields: using oil-based inks intended for lithography Campbell laid down a matte base layer, then used templates from the Aerials, pushing through the holes to mark territory in a way that suggests an infrared landscape viewed from the air. Susan Goethel Campbell, Heatscape No. 3 (2017), woodblock prints mounted on panels, 12 panels, 12 x 38 inches each, configuration variable. Unique works. Installation view from “Faulty Vision,” David Klein Gallery, 2017. Photo: Shell Hensleigh. More recently Campbell has created punched-paper Heatscapes—two-layer works that incorporate data from a 2009 series of perforated woodblock prints, Winds Aloft, which visualized wind speed and direction. These new Heatscapes are laser-cut rather than hand-punched, and use both wind charts and data about particulate matter collected by the Texas Air Commission—information on atmospheric disruptions traceable to human activity. The top sheets are bright red and hang freely, revealing through their perforations the high-contrast yellow of the sheet below. Campbell is attempting to capture the ephemeral quality of heat, and the dangerously tangible impact of humans on the environment, making visible something that is usually invisible. Like all forms of representation, art included, scientific data is a selective distillation of the real world, and Campbell is particularly taken with information that comes across as “gesture”—for example, maps that chart the movements of wind. If bar graphs, with their tidy, static representations of data, can be termed “infographics,” Campbell’s compositions, with their pursuit of systems in motion, can be seen as pictorial “infodynamics.” In this context, the organic whorl and flux of the woodgrain that emerges through each bird’s-eye view, rising from the urban sprawl like heat distortion shimmering over sidewalks on a hot summer day, is not a chance element, but one of many ways Campbell collaborates with and capitalizes on the existing conditions of nature to produce works that seem to express an impartial truth. One cannot alter the geologic record; one cannot spoof nature. 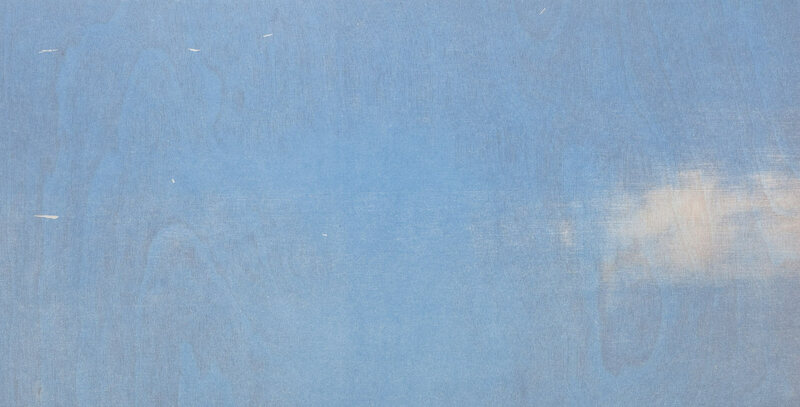 Susan Goethel Campbell, detail from Overland (panel 3) (2009), woodblock print, 12 x 38 inches each. Unique works. Photo: Tim Thayer. Lately, Campbell has linked the Heatscapes with other recurring concerns: soil, manufacturing and the engineered environment. 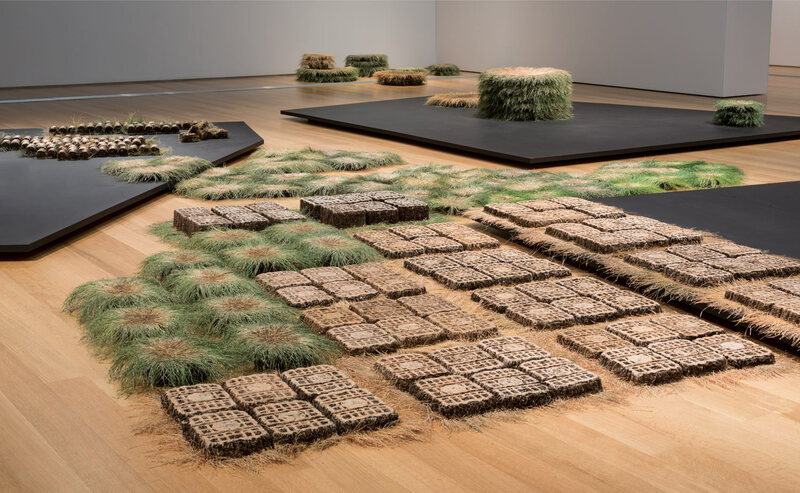 For installations at the Oakland University Art Gallery (2015), Penland School of Crafts (2017) and David Klein Gallery (2017), she set groups of Heatscapes alongside configurations of dried plots of grass she had seeded and grown in water bottles and other vacuum-formed plastic containers. Titled Grounds, these are in effect cast sculptures, constructed by the dense root structures of grass. Campbell refers to them as “volumetric prints.”3 Fundamentally a printmaker, Campbell produces and presents these once-living motifs in multiples, creating stacks of disks or squares with their growth hanging shaggy, or floor installations checkered with turf bullseyes, or arrangements of segmented, bottle-shaped figurines laid out on the floor like bodies in a mass grave or stacked to surround a column at the center of the gallery. “Even in 1957, [Roland] Barthes was talking about how plastic was becoming a naturalized material,” Campbell observes.4 “For me, the plastic water bottles were the best example of an abject object I could use to create a ground or build a column. I was looking for a multiple reading of a plastic object through materiality and repetition.”5 Together in a gallery, the Heatscapes form a hot horizon line or grid along a wall, radiating heat in the direction of the parched turf—as above, so below. 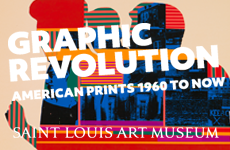 Susan Goethel Campbell, Overland (2009), woodblock print, 24 x 152 inches overall, eight prints, 12 x 38 inches each. Unique works. Photo: Tim Thayer. Air quality and the impact of particulate matter in the atmosphere are another recurring subject in Campbell’s work. For Detroit Weather: 365 Days (2011), she placed a webcam on the 22nd floor of the Fisher Building, an art deco tower that is one of the few tall buildings in the central historic district of Detroit’s New Center Area. One picture per minute was taken to produce a one-year time-lapse video. The camera was moved during the year to show different views of the city, and the artificial clouds that form and dissipate above the industrial smokestacks to the southwest are particularly riveting: one might watch them happily for a while before realizing that this cheerfully churning vapor is just a snippet of the pollution pumping constantly into the atmosphere. The quality of restrained observation that characterizes Campbell’s recent work marks a shift from her earlier, more didactic pieces. After being awarded one of the inaugural Kresge Visual Arts Fellowships in 2009, she used her stipend to launch Dirty Pictures: Portraits of Air, an “unscientific project that focuses on the movement and quality of air around the world.”6 She distributed air filters to people in 14 locations across the United States and in 6 other countries, and asked them to position the filter to capture particulate matter over time. Documentation of what happened to these filters constitutes the “dirty pictures,” which she published as a zine in 2010. Cloudspotting Detroit (2011) is a tongue-in-cheek tourism brochure that highlights the city’s “cloudspots” and “steamspots” (though other cities have steam venting as a routine part of their infrastructure, Detroit is notorious for the random columns of warm steam that funnel up not only from construction tubes and manhole covers, but also at other, unofficial breaches in the city’s streets), as well as “Best Places For Viewing the Sky,” “Historic Clouds of Dust” (which touches on the demolition of some of Detroit’s largest abandoned structures), and “Pungent Clouds,” which identifies several of the more intrusively fragrant sources of air pollution (notably, the incinerator used to burn the city’s trash as well as that from neighboring Windsor, Ontario). By couching her observations in a witty travel guide, Campbell minimizes their sting. If the abject is a blunt instrument, Campbell’s evocation of horror is insidious and all the more powerful when it hits. Susan Goethel Campbell, detail of Grounds (2014), inverted dried grass, wood platforms, dimensions variable. Installation view from “Resisting Certainty,” Grand Rapids Art Museum, 2014. Photo: Tim Thayer. Campbell references On Beauty and Being Just by Elaine Scarry, which talks about recognizing errors in the ascription of beauty: “the first … that something formerly held to be beautiful no longer deserves to be so regarded,” while the second “is the sudden recognition that something from which the attribution of beauty had been withheld deserved all along to be so dominated.”8 Scarry classifies these as a result of either perceptual generosity (generously taking something for beautiful when it is not) or failed generosity (withdrawing the designation of beauty from something). 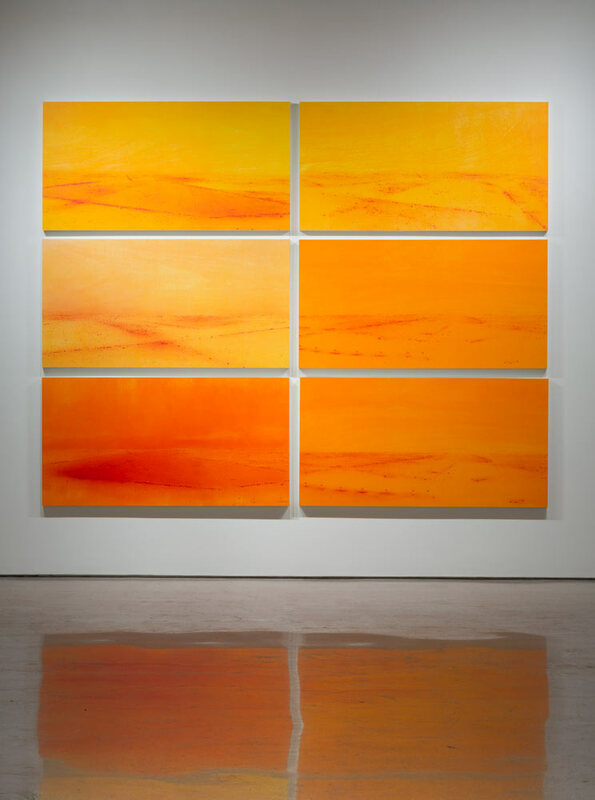 In terms of the abject, the first condition might be thought of as a slow-dawning horror—the stripping away of the optimism we bring to the experience of a beautiful sunset, or to the work of Susan Goethel Campbell. If we find either to be purely beautiful or to lack moral implications, perhaps we are choosing to see the world we would like to live in—one where every cloud does not carry a penumbra of menace. That we do not live in such a world is a burden of knowledge distributed unevenly, and it is clear that Campbell cannot look away, nor is she willing to allow her viewers that luxury.